Members Rob Halford, Glenn Tipton, K.K. 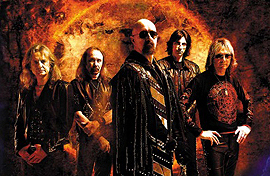 Downing, and Ian Hill have been the nucleus of the band since its inception in 1969. They have sold over 35 million records world wide. 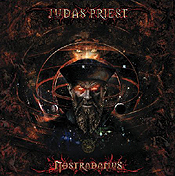 Judas Priest’s musical influence is far-reaching. Their songs, including “Breaking the Law”, “Hell Bent For Leather”, and “Painkillers”, among several others have been featured on the soundtracks to various video games, introducing a whole new generation to the band’s music. Exclusive Magazine’s Ashley Trombley spoke with guitarist Glenn Tipton about this momentous occasion and a few other topics, as well. This year marks the 30th Anniversary of 'British Steel‘s release - tell us a little about recording the original one back in 1980 "Apparently, Tom Allom, the Producer, tells us that in 28 days we recorded it, mixed it, and it was a done deal. We recorded it at Tittenhurst Park, which was originally John Lennon’s house but was sold to Ringo Starr from The Beatles. And we did it in the summer of 30 years ago." This is a record that some critics, fans, and other artists regard as the record that broke metal out of the bluesy-type mold it had previously been in. Do you view it as such? "I think that it was definitely a crossover point. The album, as far as we were concerned, was still a heavy metal album, but there were tracks on there that weren’t exactly commercial." "But they were accessible to people who previously hadn‘t been into metal, tracks like “Breaking the Law,” very simple rock tracks that people latched onto immediately. And then you’ve got tracks like “The Rage” or “Steeler” which are very heavy metal, so yeah, I would say in a way that was true. It was definitely a crossover album for a lot of people." 30 years later, both 'British Steel' and Judas Priest are still going strong. Did you ever think that that record would be as successful as it was when you first set out to make it? "No. You know, we just did what we always do, which is basically go into the studio and record an album. But there was a little bit of difference with British Steel because we actually wrote 40-50 percent of it in the recording studio, which we had never done before, or since, really." "We were on a tight schedule at the time, and we went in with half of the material ready and written, and we wrote the others spontaneously in the studio, which was very rare for us to do. And sometimes that works, and sometimes, it doesn’t work. In this case, it worked." Looking back, is there any particular song on that record that you’re especially fond of? 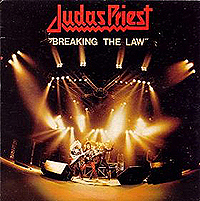 "I think the album is full of good songs, and I think “Breaking the Law” is one of those rebel songs. We’re not encouraging people to break the law, it’s just that there’s a little bit of rebelliousness in there, and it’s very tongue-in-cheek, as well. It’s got a sense of humor to it, if you see the video. It’s a simple riff, very catchy, and the audience always sings along, so I’d say that’s one of my favorites." Have you ever had any reports of anybody actually breaking the law because they listened to that song?! "No. You know, we’ve always said that if you go to a Priest concert, like most other teenagers, you need to let off steam. And what better way to do it than in a non-aggressive way? Come to a heavy metal concert, a Priest concert, get it out of your system and then get back to college or work or whatever, and you‘ve already gotten it out of your system." Do you think that the goal of Judas Priest or even metal itself is to help people vent that aggression? "Metal is a very popular form of music, more popular than people give it credit for. We go to parts of South America like Chile and 12-15,000 heavy metal kids will turn up for the shows. On the last tour, we played Turkey. We’d never played Turkey before, and it was great - 15,000 to 20,000 people showed up. It’s a very under-estimated form of music, and there’s a lot of people throughout the world who love heavy metal, more than the world gives it credit for." Let’s flip the question from a little bit ago, now. Is there any song on 'British Steel' you might not like as much as the others by comparison? "Not really, no. As I said, it was a spontaneous album. We wrote tracks like “The Rage” there, and “Living After Midnight” we wrote there, and they just happened to click. And that’s the beauty of this album, it all seemed to work. At that point, we seemed to settle on our image, which was leather and studs. 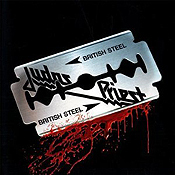 It all fell into place with 'British Steel,' so there is nothing I would change." What made you want to re-release this particular album? Just because of the 30th anniversary? "Yeah. It’s our way of saying thank you to the fans. It’s a tribute to the fans who have stuck with us throughout all these years. We thought, “It’s the 30th anniversary of 'British Steel,' so let’s go out and perform it from start to finish - something we’ve never done, ever before.” And we just felt that was a great thing to do, and it was very well received, as well." In 1998, front man Rob Halford came out with his sexuality. Has that had an affect on your fan base in the years subsequent, for better or worse? "Not at all. It’s more to do with the music, really. People’s private lives are their own concern. And as far as we’re concerned, we’ve been together for nearly 40 years, and we’ve made some great albums in that time. And the only thing that’s important to us as a band is the music, and the only thing that’s important to Rob is the music. If you keep that in your mind, nothing else matters, really." Judas Priest just won a Grammy for Best Metal Performance - congratulations! Honestly, I hadn’t been aware they had a Grammy Award for that genre. What was it like to win? "We’d been nominated three times last year for tracks related to 'Nostradamus,' which you could probably say, in a way, was more relevant. There were a lot more classical and operatic moments all leaning toward the Grammy nominations and people who actually get them. But in actual fact, we didn’t win any last year. But this year, we were nominated for a track called “Dissident Aggressor”, and we got it, and we’re very grateful to receive that kind of accolade." Any plans for a new album? "None at the moment. We’ve had a very busy last couple of years. And last year, we ground to a halt and took a well-deserved rest, and at some point, we’ll sit around a table and discuss the future or future projects. And that’s the way we’ve always done it. We take a break, and then we figure out what we’re going to do next." Finally, some tracks from 'British Steel,' and indeed, all of them from the live version that’s been issued have been available for download in the Rock Band series of games. How do you feel games like that have had an affect on the music industry? "Our view is this: There are so many games that are based around violence or whatever, that we feel that any game that is based around music has got to be a good thing. So we support it, really. It’s a good way to get kids out there aware of our material, and there’s a lot of downloading that goes on now, anyway. So we figured it’s a good healthy thing to do." Are you hoping games like that will open the floodgates for a new set of Judas Priest fans? "Obviously, the more people that are into our music, the more people that are into metal, and that’s good for everybody." So, if you would like to win a 30th Anniversary Edition 'British Steel' CD, and you think you know all there is to know about the band, just answer this easy question: On July 13, 1985, Judas Priest were oneof only two metal bands to perform at the Live Aid event. Who was the other one? !